Into the Mountains is guide service established and run by Caroline and Adam George. “We met while ice climbing, had our first date on a climb and got engaged on the top of a summit. Needless to say, we are not just passionate about climbing, it is simply our way of life. Between the two of us we have more than 40 years of climbing and skiing experience all over the world. Our business was born from our desire to share our passion, skills and knowledge of the mountains with our clients worldwide. We are based in Finhaut, Switzerland a small Swiss village located on the border between France and Switzerland about 30 minutes from Chamonix and 40 minutes from Verbier. From here we can climb and ski from our backdoor and access world class terrain within an hours drive in France, Switzerland or Italy depending on conditions, weather and desires! Our newest family member, Olivia, is three and already getting a taste of travel and adventure while keeping Mom and Dad constantly on their toes! Caroline was born in a small ski village in the Swiss Alps. She was introduced to climbing at a young age by her parents. Despite graduating with a law degree from university and speaking four languages, Caroline decided to pursue climbing professionally. She competed for three years in the ice climbing world cup and has worked as a sponsored athlete since 2000. Some of her accomplishments include: first ascents of difficult ice and mixed routes in the Canadian Rockies, ascents of El Cap and Half Dome in Yosemite Valley, the North Face of the Eiger, Grands Jorasses and Matterhorn, the Freney Pillar on Mont Blanc, first ascents rock climbing in Ethiopia and first ice climbing ascents in Iceland, Canada, Norway and Antarctica. 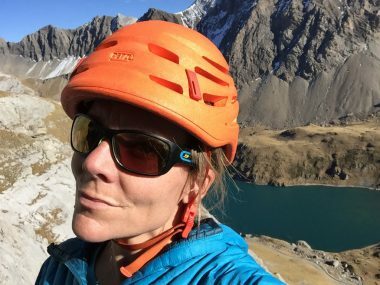 Caroline has worked for a variety of guide services including: Utah Moutain Adventures, Exum Mountain Guides, Alpine Ascents International, Chicks with Picks, Dream Guides, Atypeak, Mountain Tracks and ISM. Outside of guiding, Caroline works as a freelance writer, yoga instructor, social media consultant, translator, speaker and professional athlete for her sponsors. Rock climbing trips to Thailand, Sardinia, France, Spain, Morocco, Italy, Croatia, USA, Norway, Greece, etc. Ski touring trips to Japan, Norway, USA, Canada, Europe, Morocco, Iceland, etc. Adam grew up in New Hampshire and discovered his love for the outdoors in the White Mountains. He began climbing at the age of 15 and has devoted his life to this passion ever since. In fact, upon graduating high school, he made his first ascent of El Capitan in Yosemite at the age of 18. After graduating from Middlebury College in Vermont with a BA in Geography, his love for the mountains and adventure took him around the globe. 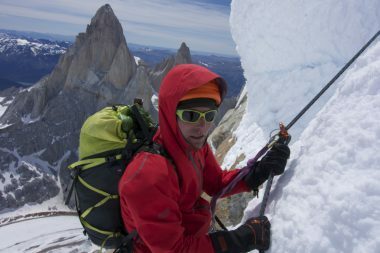 Some of his trips include expeditions to: Alaska, Argentina, New Zealand, Australia, India, Nepal, Thailand, Greece, extensive climbing in the Alps and in North America. Adam is well versed in all disciplines of the sport having done one-day ascents of big-walls in Yosemite, test-piece Canadian ice climbs, many classic alpine routes in the Alps and difficult free routes.